Lime trees come in dozens of varietals and hybrid cultivars but all share the same basic characteristics and environmental requirements of citrus trees and shrubs. Lime trees are hardy in USDA zones 9a through 11. However, with ideal conditions many lime varietals can be successfully overwintered indoors in cooler climates. Grow your lime tree in full sun when planted outdoors and in a combination of bright indirect light and direct sun when grown indoors. Provide optimal protection from cold and drying winds by planting the tree on the south facade of your home or outbuilding, where it can be sheltered and benefit from the ambient heat released from the structure. Provide and maintain an easy-draining but nutrient-rich soil for your tree. Plant your tree so the bud union is above the soil and the top of its root ball sits level or just above the surrounding soil. Grade the planting site so that the soil slopes away from the tree. This will ensure good drainage away from the tree, preventing standing water and rot. Water your lime tree slowly and deeply about every two weeks. Make it your goal to maintain the soil at a lightly moist level. 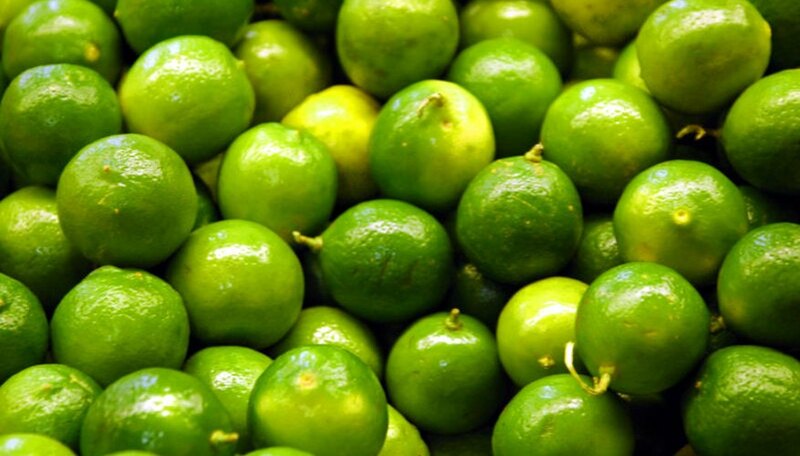 While limes need plenty of water, they cannot tolerate soggy soil. Constant monitoring of the soil and the tree's water uptake over a few seasons will help you establish an ideal watering regimen for your tree and climate. Feed your lime tree with a granular citrus tree fertilizer. Make the first application of the year in the early spring before blooming begins. Follow the dosing and application directions on the package of your citrus food, but always apply over prewatered soil to prevent burn and water the fertilizer itself in well. The younger your lime tree, the less citrus food you will apply. Application amounts increase with each year of growth. Distribute the fertilizer granules widely around the base of the tree from 6 inches out from the trunk to at least a foot past the drip line of the tree so that you have a doughnut application pattern around the tree. Pull all competitive weeds around the base of your lime tree and keep grass at least a foot and preferably further from the trunk. Citrus does not need to be mulched, so a little weekly weed pulling is the best solution. Prune to shape your tree or to remove damaged or diseased foliage or branches, but other than that limes do not require maintenance pruning.